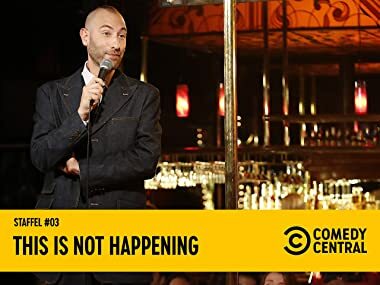 Host Ari Shaffir invites comics such as Maria Bamford, Brian Regan, Lavell Crawford and Louie Anderson to tell crazy true stories about drugs, romance, run-ins with the law, their lineage, their biggest blunders and more. Mit dem Comedy Central+ Channel ansehen. Host Ari Shaffir talks about the weirdest way he ever started a fight with a friend, and Sal Vulcano describes how a dumb prank of his backfired. Comedians Doug Stanhope, Lavell Crawford and Greg Behrendt tell stories about grappling with their own mortality. Maria Bamford tells the story of her nervous breakdown, and Andrew W.K. and Al Jackson talk about the most panic-inducing moments of their lives. Brian Regan talks about his days as a campaign manager for a dog, and Ari Shaffir and Rory Scovel tell stories about their biggest blunders. Comics Louie Anderson, Liza Treyger and Bonnie McFarlane open up about their troubling brushes with the law. Big Jay Oakerson, Julian McCullough and Bobby Lee share their most unsettling and outrageous stories about romance. Comedians Sean Flannery, Russell Peters and Bert Kreischer describe their wildest adventures with bears and more. Host Ari Shaffir, Steve Rannazzisi and Nick Thune take the audience on a long, strange trip as they talk about their craziest drug experiences. Ari Shaffir welcomes comedians Tom Papa, Steve Simeone and Gastor Almonte to tell stories about their families. Comics Ali Siddiq, Greg Fitzsimmons and Joey Diaz open up about the most rageful moments of their lives.